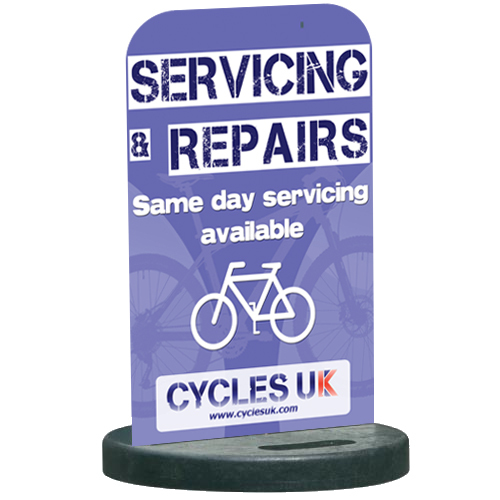 We have the ideal Pavement Stand for you. 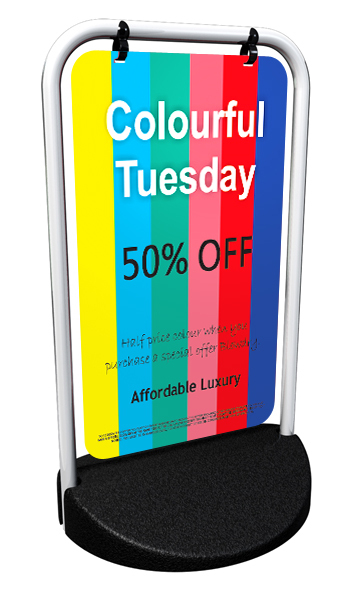 We produce a variety of A Boards and Pavement Stands that get your message seen. Choose below the one that best suits you! Ideal for Short term promotions. Change your display in seconds with easily accessible window. The ultimate A Board! 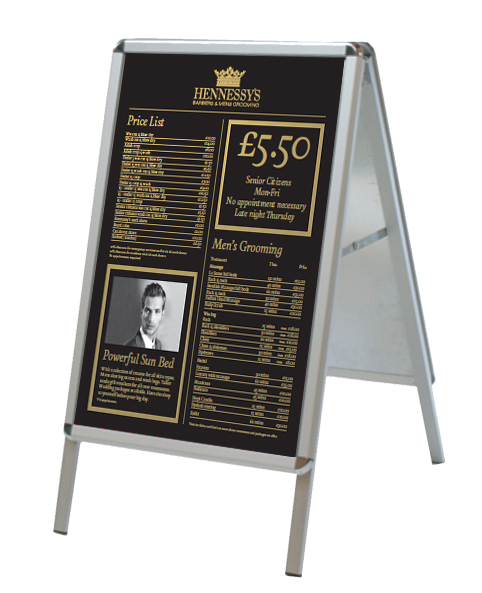 Get your information seen from both sides as this stylish design improves your image! Printed Both Sides full colour!